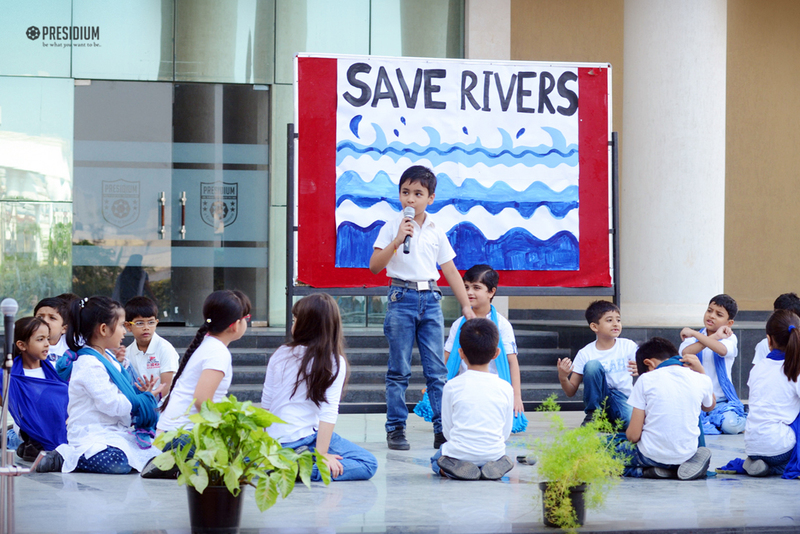 Rivers are the lifelines for all life forms. 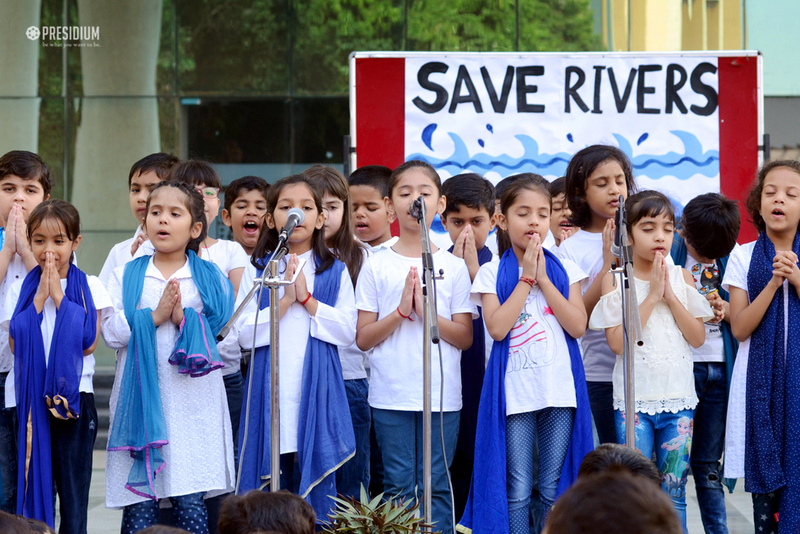 All the civilizations in our world were born, grew, and developed on the banks of rivers. 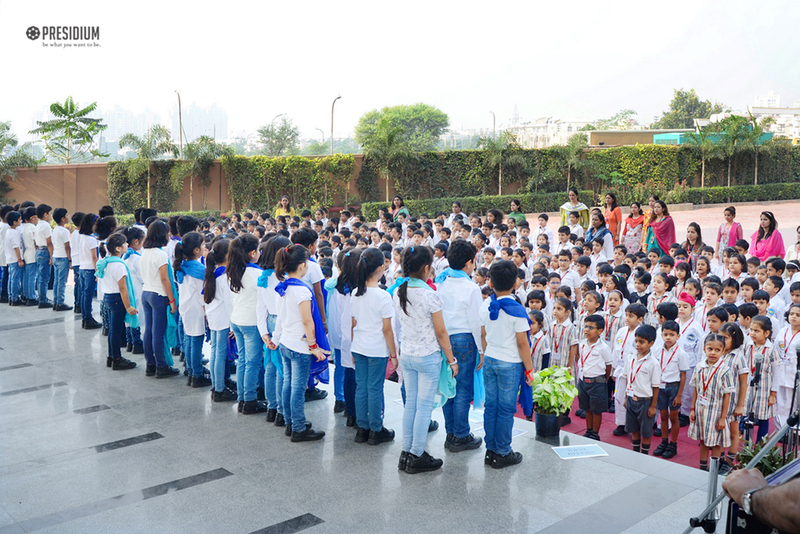 They are the veins of the earth through which life flows and make our planet habitable and beautiful. 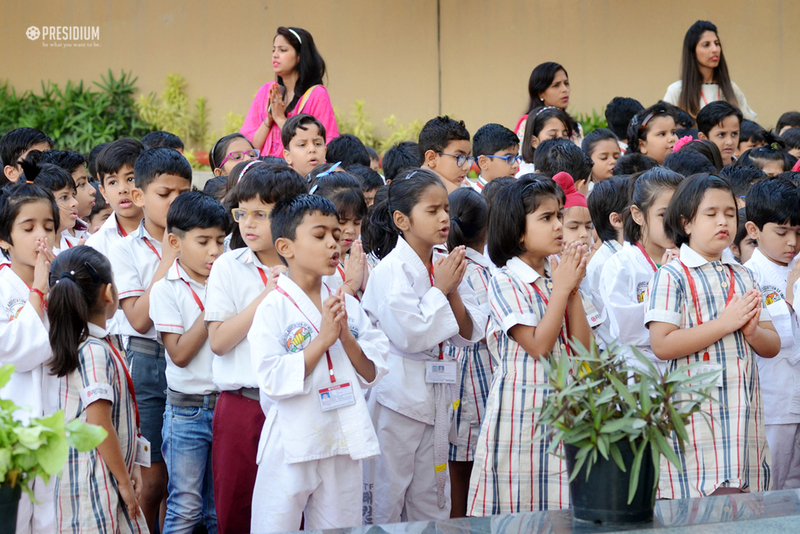 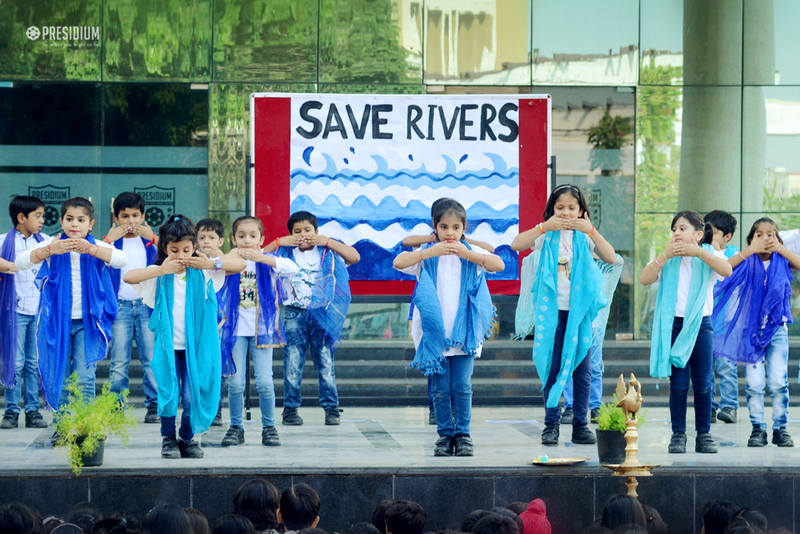 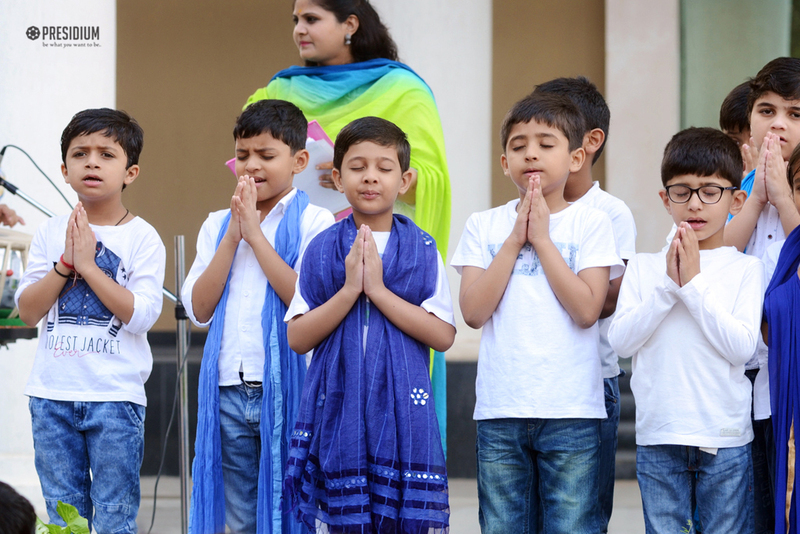 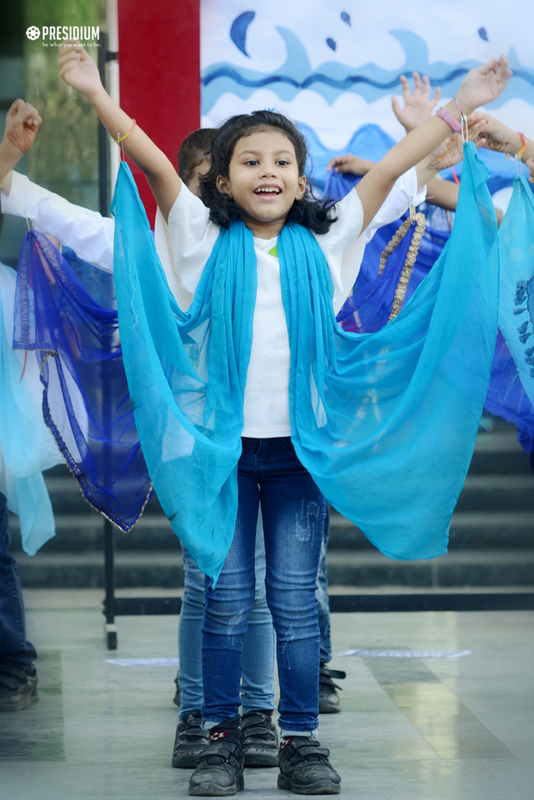 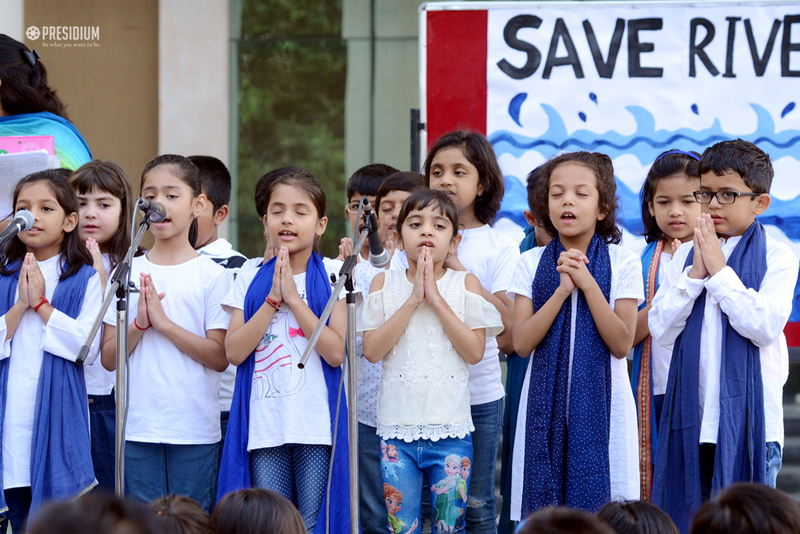 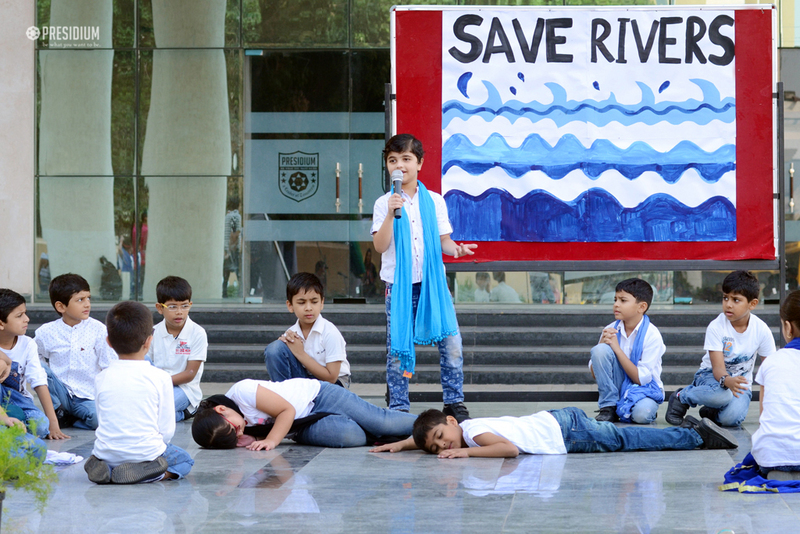 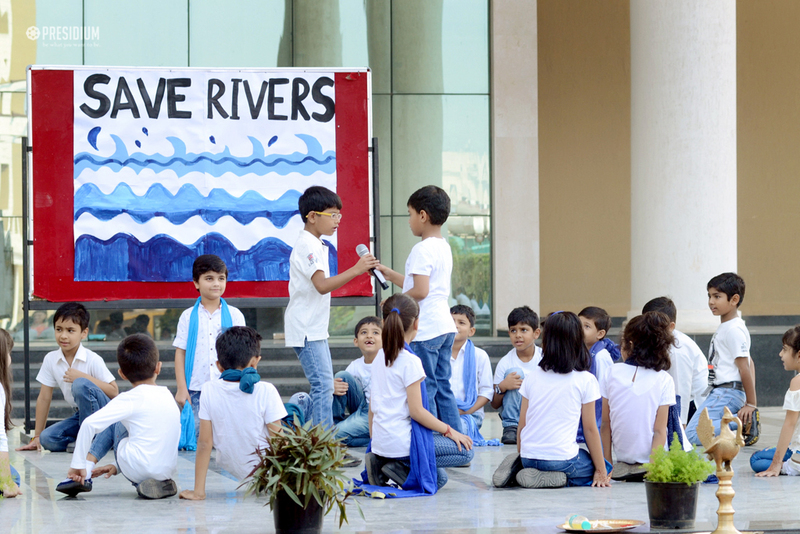 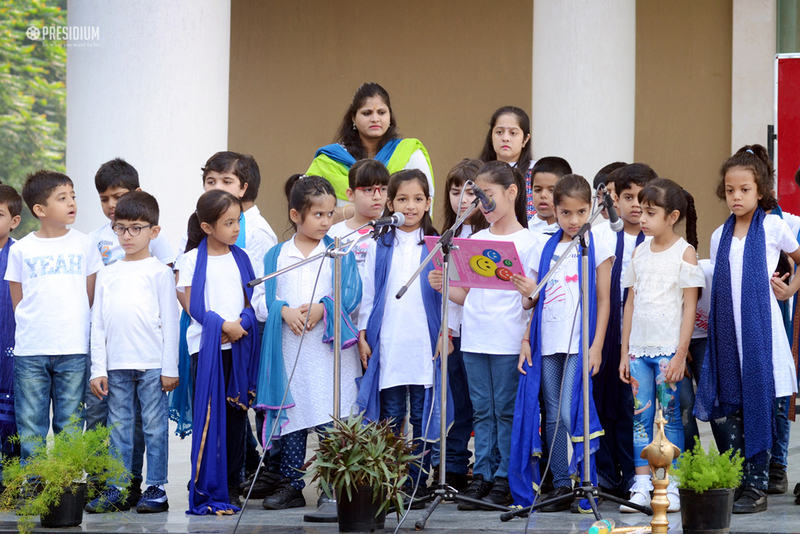 We at Presidium Gurgaon, always strive to raise a generation of environmentalists and in reference to Sadhguru's noble campaign of 'Rally for Rivers', our grade 2 students recently presented a special assembly. 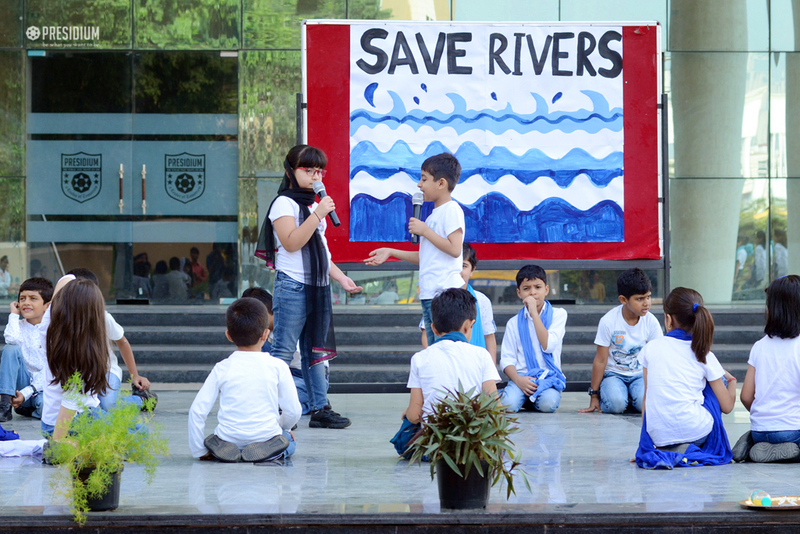 Showcasing the importance of rivers and water in our life, they shared different ways rivers can make our life better. 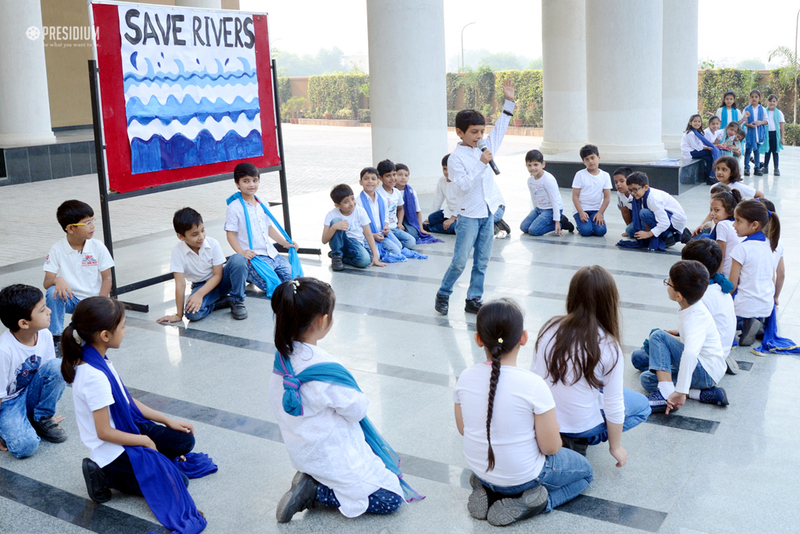 An enlightening PPT was shown to the little Presidians to educate them about how are we abolishing our own natural wealth – rivers. 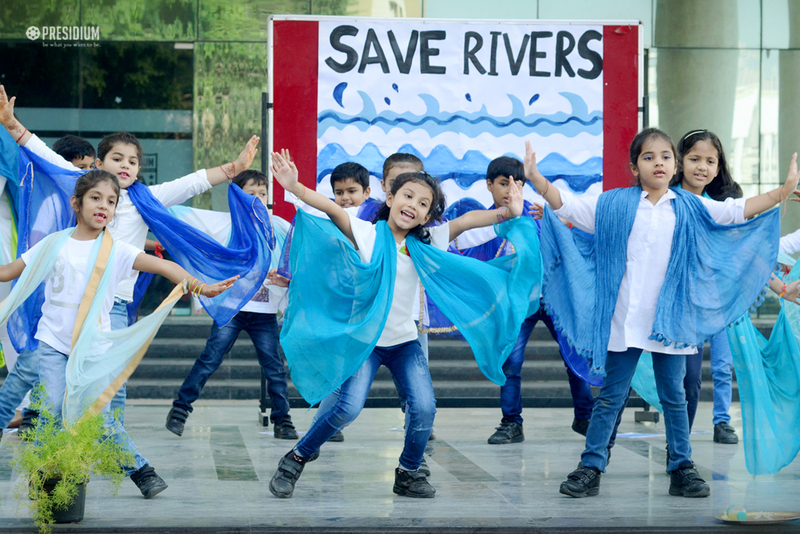 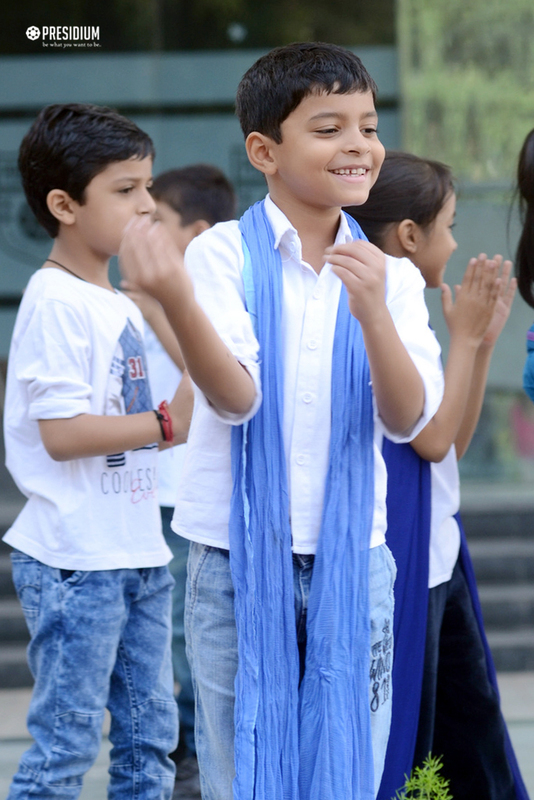 Mesmerizing everyone with their dance performance focusing on the necessity to 'save water and rivers', the students requested the audience to put efforts to save Ganga and many such rivers, which are on the verge of extinction. 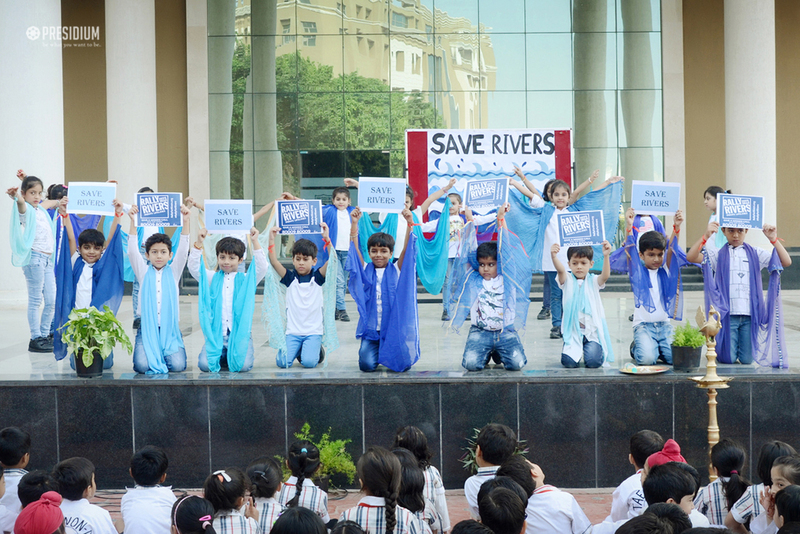 We must preserve our rivers because our own preservation is directly linked to their conservation.